Peanut butter is a staple in every household. I grew up on PB&J and would take peanut butter in any way I could get it. Because it’s served with snacks and people have an idea that it contains fats it is often associated with being unhealthy. So I’ve set out to figure out what’s the real deal behind this gooey and delicious snack item. While they may not fall under health foods, here are some good reasons to eat peanut butter. For every serving of peanut butter (2 tablespoons), you get an average of 7 to 8 grams of protein depending on the type of peanut butter and brand you get. It is a cheap source of protein compared the beef, chicken or fish. Protein helps build our muscles and repair them which make us fell healthy and able to walk, run, jump and lift things. If you want to add protein to your peanut butter sandwich, have it with a glass of milk for breakfast. Each glass of milk contains another 8 grams of milk. On its own a serving of peanut butter offers 16% of the daily protein requirement based on a 2,000 calorie diet. Taken together with milk you, they combine for close to a third of the day’s protein requirements. Nuts are generally healthy because they contain mostly healthy fats and less of the unhealthy ones. Peanuts are not an exception. Though they don’t rank at the top like walnuts and almonds do, most of the fats with peanuts are still of the monounsaturated and polyunsaturated fats. This makes them healthier for us as these fats aid in lowering cholesterol and increasing our HDL levels. In an average serving of peanut butter, only around 3.3 grams of the total 16 grams of fat is the unhealthy saturated fat. The larger remaining portion is made up of monounsaturated and polyunsaturated fats, which are the healthy fats we want to increase in our diets. The healthy fats that peanut butter contains along with the nutrients like vitamin E, also help to keep our hearts healthier. It has been shown that peanut butter taken in moderation lowers the risk of heart disease. The important point to remember is not to overdo it. Since eating too much peanut butter will eventually be harmful as you also increase the accumulated amount of saturated fats as you eat more servings per day. While not a lot, peanuts do contain some dietary fiber. And because peanut butter is made from peanuts it also contains healthy fiber that aids in digestion. Two tablespoons contains around 2 grams of fiber. This isn’t much but it does contribute to the daily fiber total which helps our body function. Compared to many foods that have zero amounts of fiber it is an improvement. Peanut butter is one of the best affordable foods that contains calories and proteins. Each 2 tablespoon serving amounts to around 190 calories and 8 grams of protein. For many who need to gain weight, it helps because so little of it gives you a good amount of calories. So how does it help in weight loss? Peanut butter is also filling. The protein content along with the dietary fiber it contains helps to keep us full for a longer period of time. This keeps us away from looking for more food or getting hungry quickly. So instead of eating more we end up eating less, and more importantly staying away from junk food and other fattening snacks. Thanks to the peanuts used to create the peanut butter spread, we also benefit from the vitamins and minerals that are present in peanuts. At the top of the list if vitamin E, an antioxidant which helps fight bad cholesterol. It also contains magnesium, which not only assists in keeping our heart healthy but also with bone development. Other nutrients in peanut butter also include potassium and vitamin B6. Like all things, peanut butter needs to be eaten in moderation. It has a number of good health benefits thanks to its nutritional contents like protein, vitamins as well as monounsaturated fats and polyunsaturated fats. This is the reason it offers the benefits listed above and a few more. But it still does contain some saturated fats. This means that eaten in larger quantities the saturated fats add up so does the unhealthy effects it has to our health. One example is olive oil. We’re all aware of how good olive oil is. As an experiment I did a few years ago I tried adding extra virgin olive oil in most my meals. I remember eating closer to a Mediterranean diet. The problem was I kind of overdid the olive oil. As a result, after a couple of months of doing this, my cholesterol levels shot up from 110 to just over 200. So too much of a good thing can be bad, as in the case of the very healthy olive oil. The same is true with peanut butter. Eaten in moderation gives up the optimum benefits. The bigger concern with peanuts nowadays is allergies. 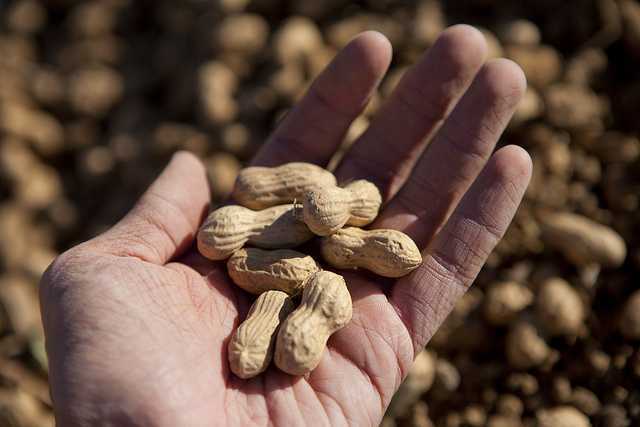 Peanut allergies can cause a bad reaction to the person and needs to be treated properly. So before serving anyone peanut butter it is very important for you to ask if they have any peanut allergies. The reasons why people love peanut butter are many. For me, one reason probably has to do with my mom slathering my school sandwiches with it and serving them for snacks while I was growing up. But there are lots of other really good reasons to love peanut butter. Let’s be honest. It just tastes really, really good. I know I can eat spoonfuls of it without anything else. Its tasty nutty flavor is just made for our palate. 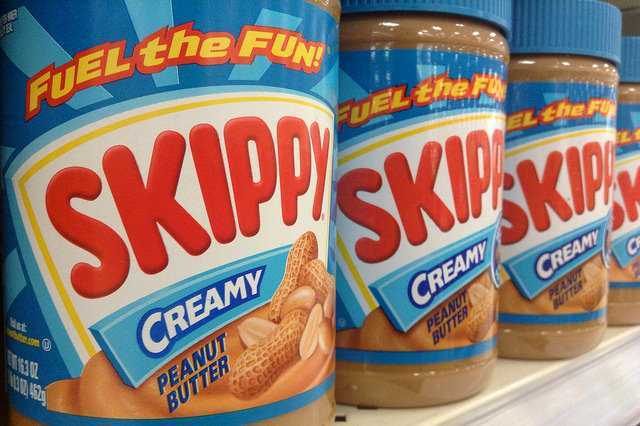 The other great thing about peanut butter is we get to choose from a variety of styles ranging from chunky to smooth. So based on your preference, it’s easy to find something. The average jar costs anywhere from $5 to $10. What really makes it cheap is that each medium sized jar contains anywhere from 12 servings to over 30 servings depending on how much you use each time. That means that each serving comes out to only a few cents. This makes for one of the best stomach filling budget friendly foods around. One of the my favorite things about peanut butter is its versatility. It is so easy to pair it with other foods like different flavors of jelly or jam. You can also have it on bread without anything else. More so, peanut butter isn’t limited to sandwiches. It works well with a lot of pastries and baked goods like cookies, frostings, fudge and even pies. When I was in college, like most college students, I didn’t have much to spend on food. 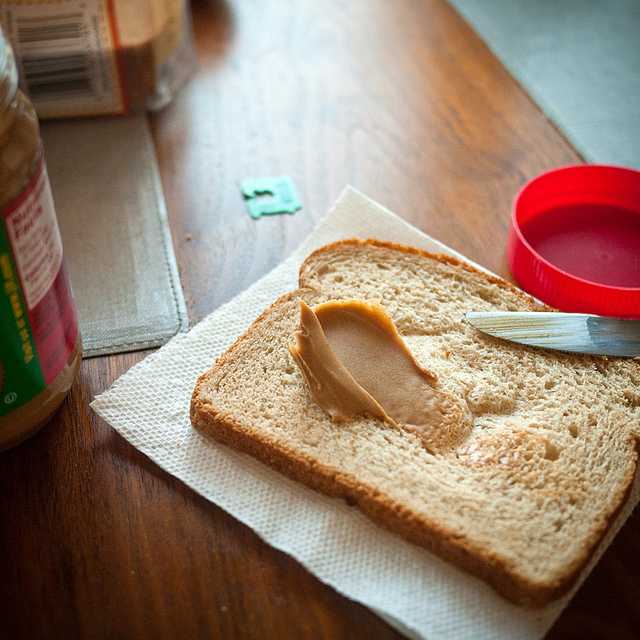 One of my go to budget foods was peanut butter sandwiches, along with pizza. Each serving of peanut butter, which is a couple of tablespoons has anywhere from 180 to 200 calories. This gives makes it a good source of calories to fill our stomach. It also has protein and carbohydrates which give us energy so we don’t get sluggish or tired easily. Combined with its cheap cost per serving it is one of the best budget foods that will keep you from going hungry. The one last thing I love about peanut butter is you can take it anywhere and eat it on the go. You could leisurely enjoy it with a beverage at home or put it on a zip lock back and take it to work, school or eat it while you’re traveling to your destination. I remember when I had classes that ran through lunch during college that I’d walk to the different buildings to get to the next class while eating my PB&J sandwich. Peanut butter’s health benefits make it something that we don’t have to feel guilty for eating. It contains a number of beneficial things that help us. But the key to this food is to keep it in moderation. We can enjoy its delicious taste regularly as long as we keep the serving to a manageable portion each time and not just eat multiple spoonfuls all the time. Featured, Food & Nutrition. permalink.